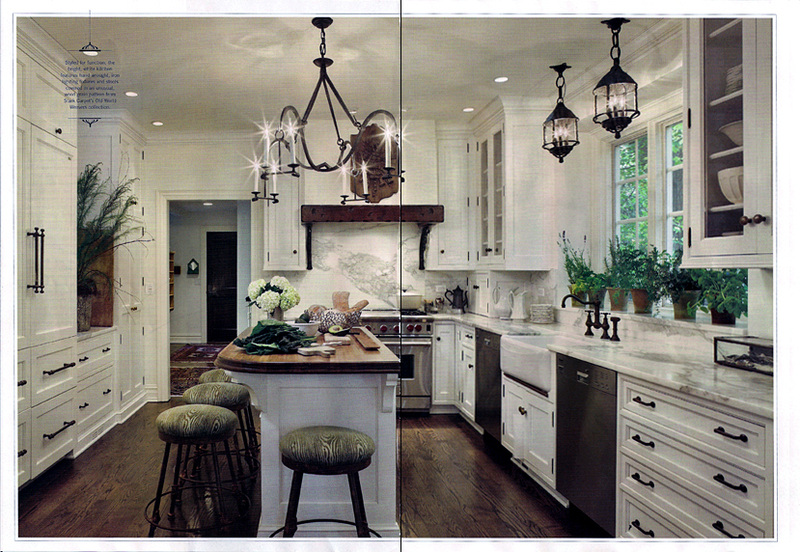 Marsha saw the McLaughlin’s home as an opportunity to breathe new sophistication into an already charming home. 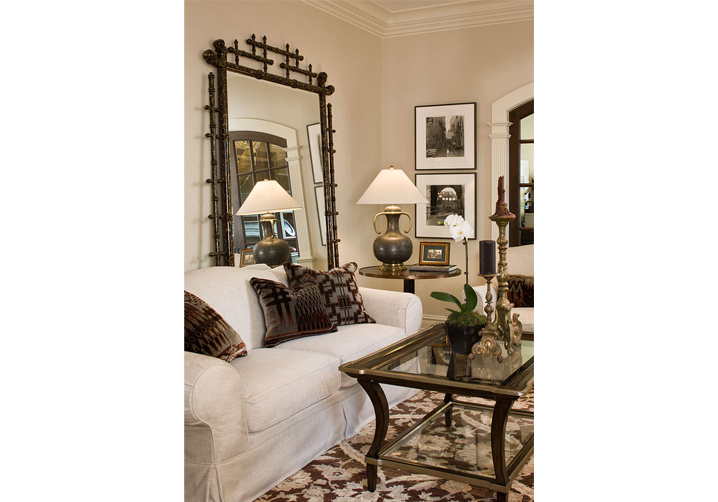 Bringing together rustic, almost exotic, elements with burnished old world antiques, Marsha conjured a romantic, eclectic mood that serves as a delightful backdrop for both an active family life and frequent entertaining. 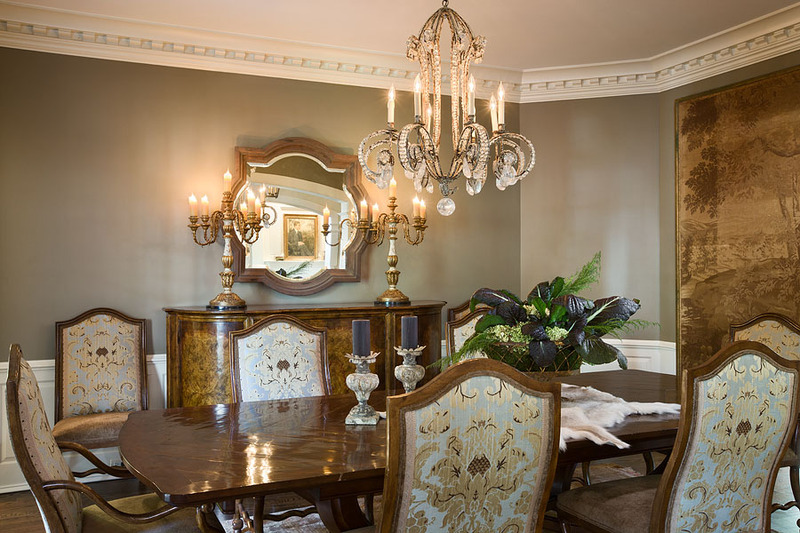 She masterfully blended beautiful reproduction pieces with the owners’ antiques, and her crisp slipcovers on the existing living room furniture gave the room an up to date tailored look. Evocative black and white photographic art graciously shares space with traditional oil paintings for a rich blend of old and new. 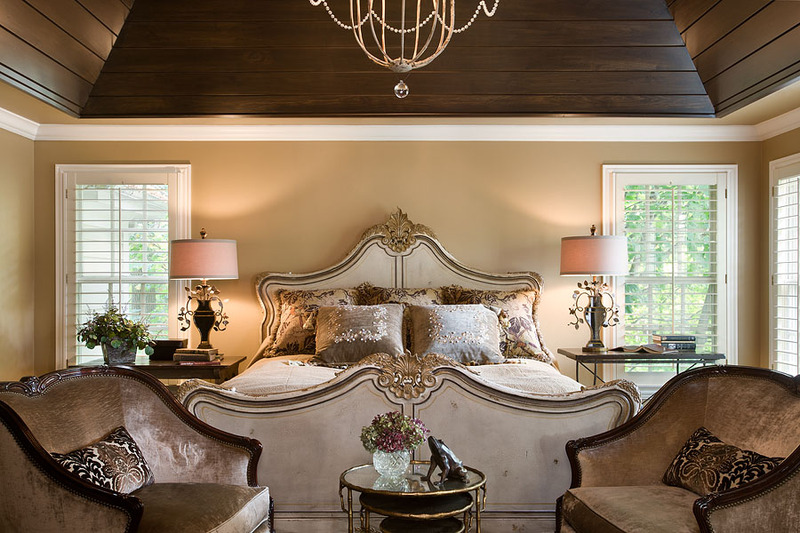 Marsha ingeniously avoided the trap of weighing down the living and family rooms by making them too grand, and kept the mood fun and inviting with her selections of fabulous vintage pillows, wood carvings and a deer-hide throw over an antique chair. 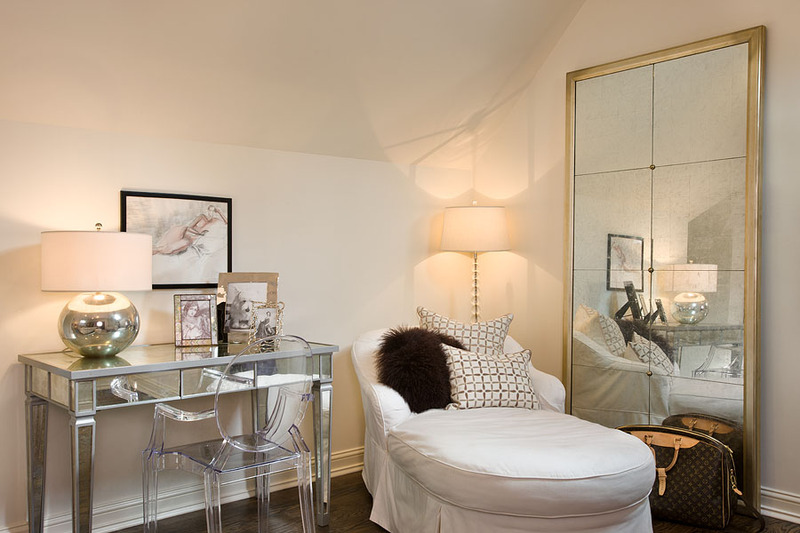 In keeping with the fun eclectic spirit, Marsha also answered the daughter’s desire for an old Hollywood glamour style bedroom with a romantic upholstered bed, chaise lounge, gleaming, mirrored furniture and the striking black and white photo of Hollywood legend, Audrey Hepburn.